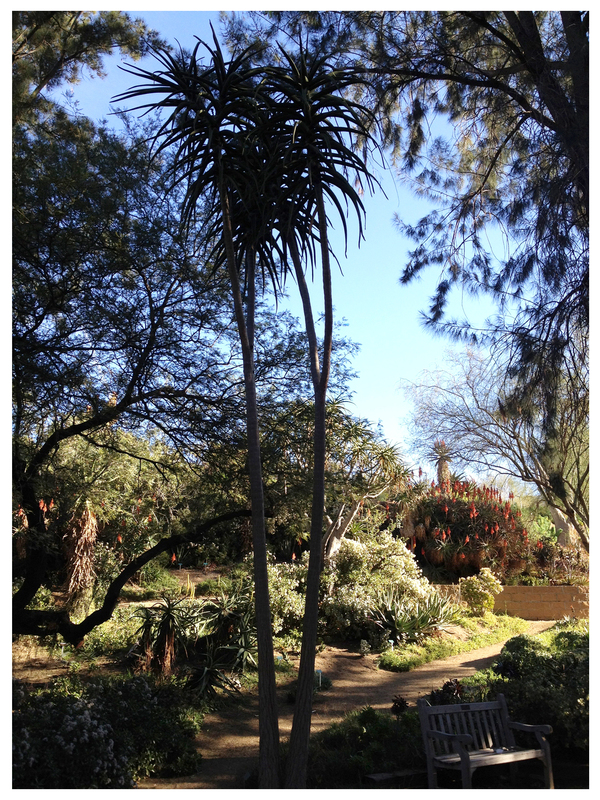 Leaving the garden we look back and notice what are probably the tallest aloe trees we’ve ever seen. 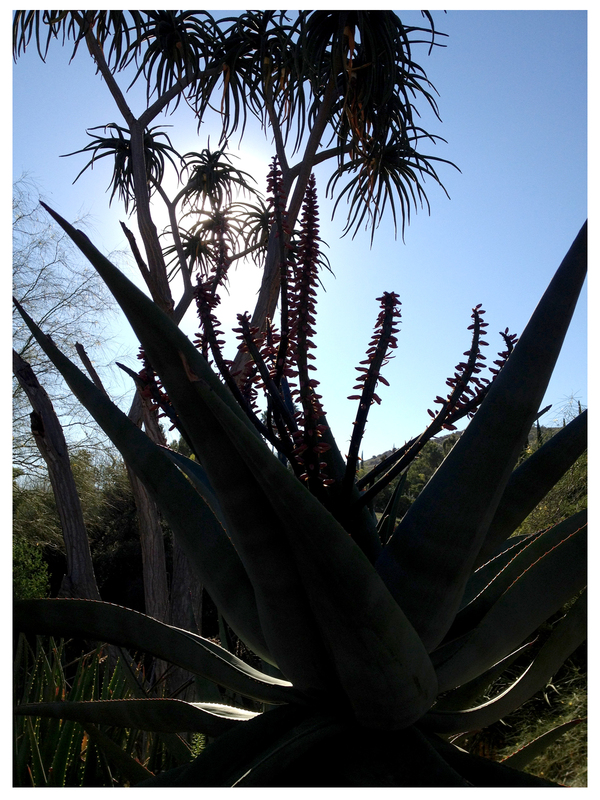 The Rancho’s aloe trees seem tall in their setting but compared to these giants they’re stunted! Maybe one of our UCRBG chums can tell me how long they’ve been growing here. 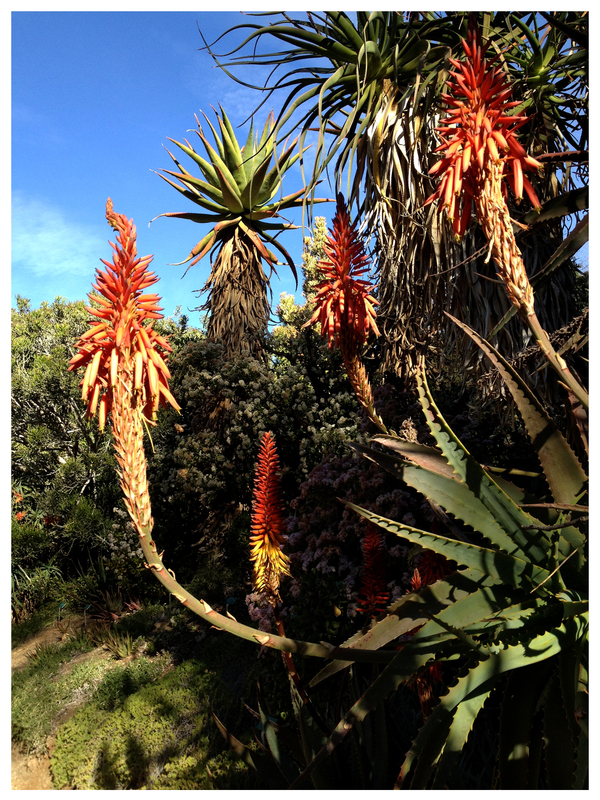 The UCR aloes in bloom are truly hot stuff! 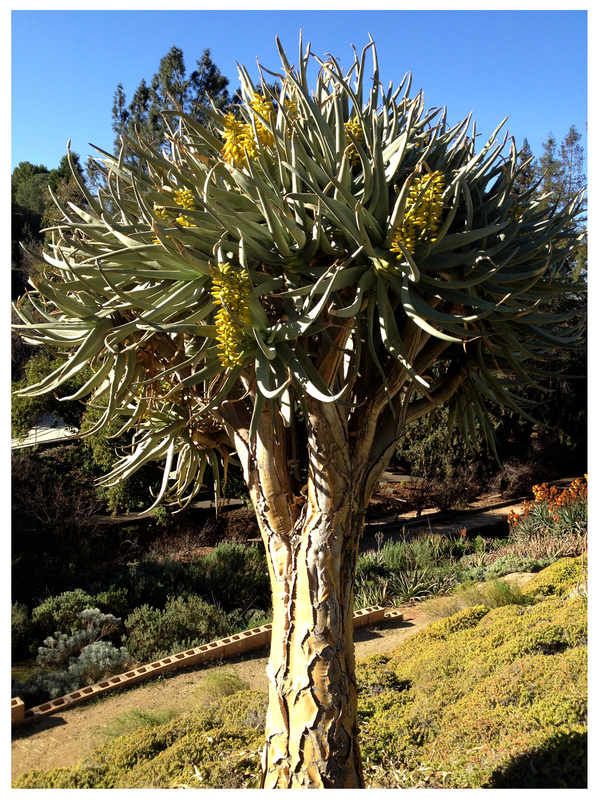 BLOG TIP: Recently, I was searching around the web for pictures of South African aloe trees and came across a terrific blog devoted to these terrific succulents. 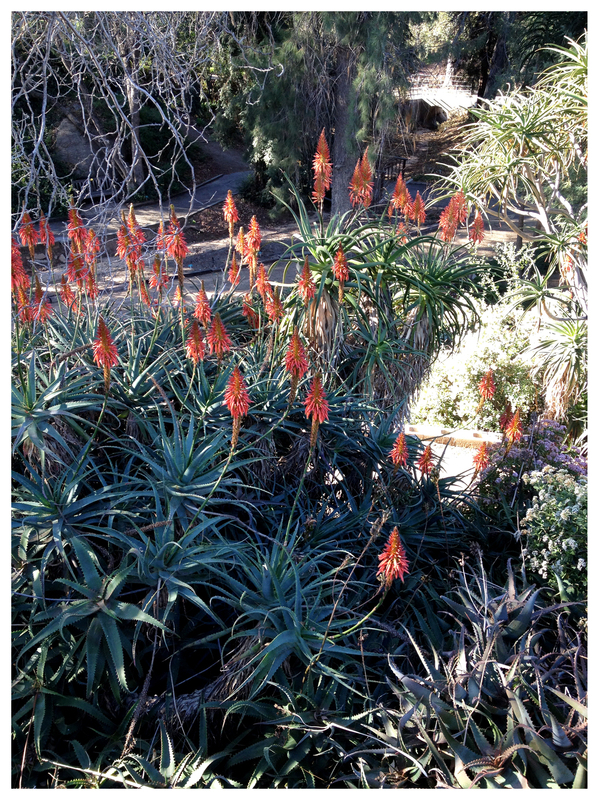 Called My Aloe Garden, it’s full of photos and information about the most amazing aloes, many of which I’ve never seen before. 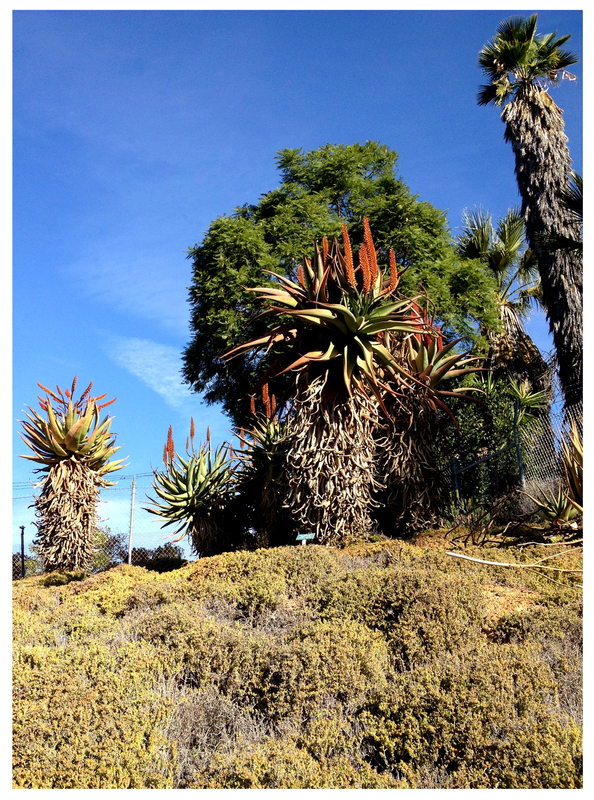 Blogger Eurica, and husband Rudi, cultivate and grow aloes, hybrids, and other succulents from their home in Moorreesburg, a small town 100km north of Cape Town … they even sell the seeds and export plants! 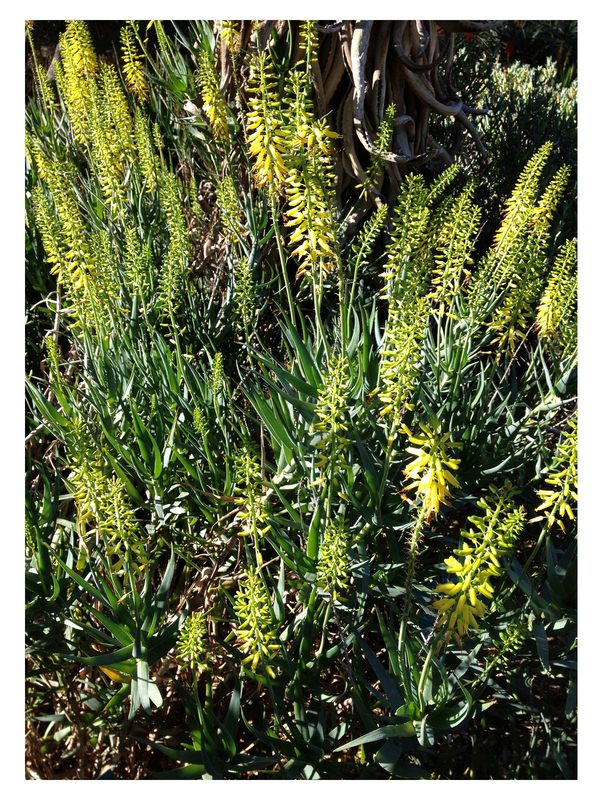 Click here for Eurica’s Aloe Garden. 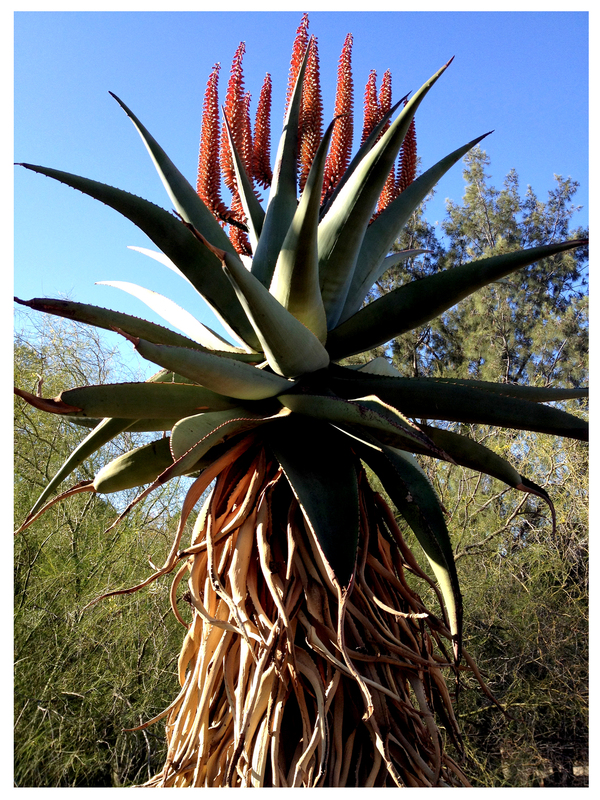 It’s a fascinating look at aloes growing in the land of their origin. I love them too. 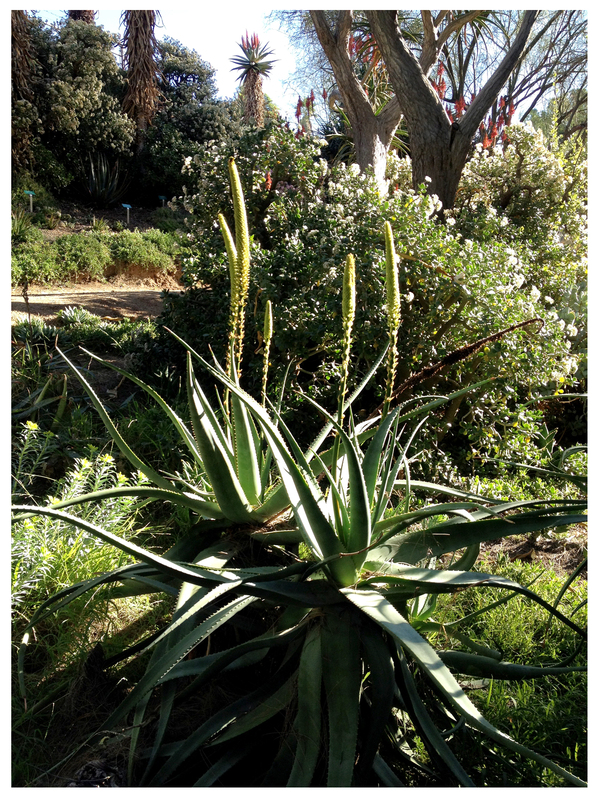 I have an Aloe ferox and A. wickensii that I have had in pots since they were tiny little things. I can’t wait to get them in the ground now that I am in a house. 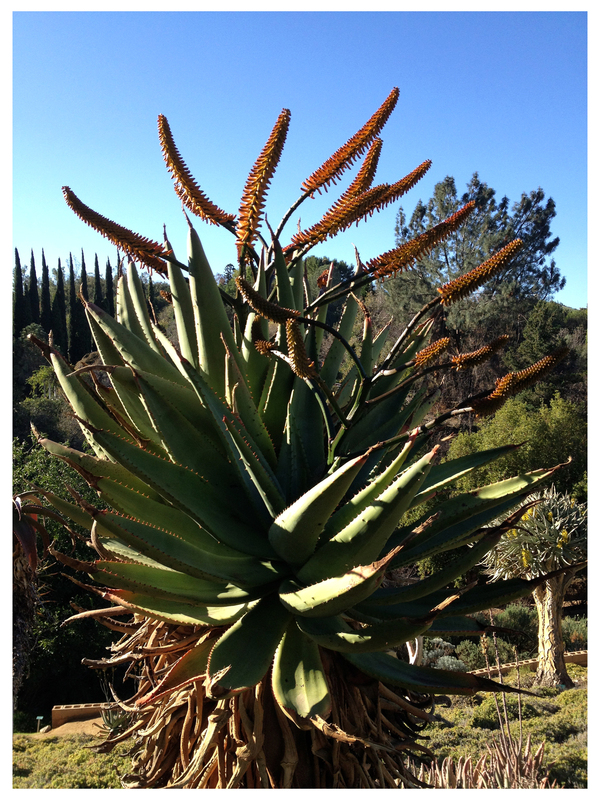 I just ordered a bunch of Aloe seed from Silverhill seed too. Should be fun. 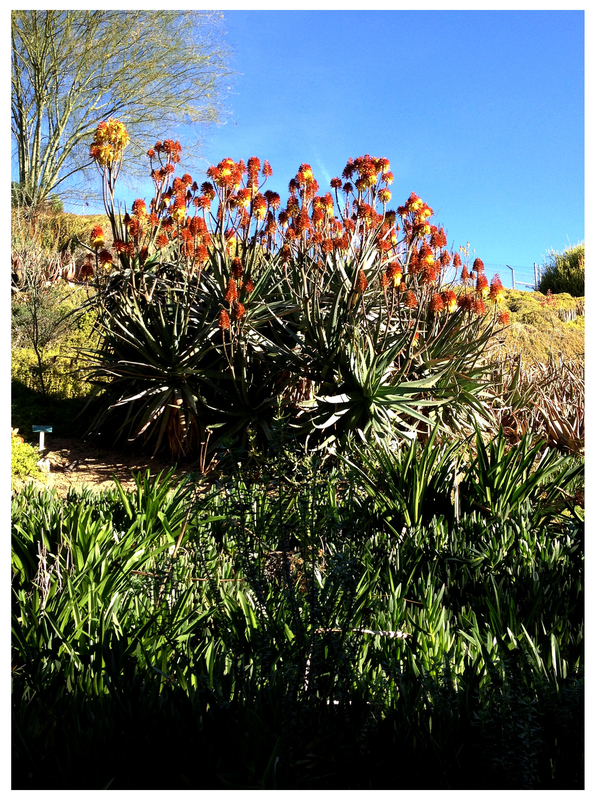 Awesome… my ferox is soon-to-bloom and I can’t wait: the blossoms are deepest red-orange and amazing! Nice! Must get over there ASAP……. Thanks for the link Reuben. 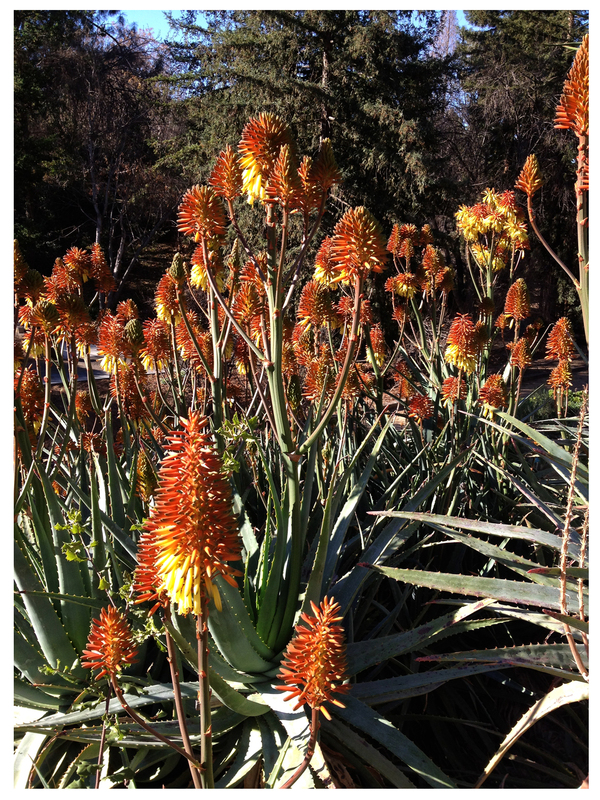 This will give me an excuse to cook something easy for dinner tonight..I’m overdue to visit UC Berkley Botanic garden to enjoy their Aloes in bloom, Unfortunately my garden is both too cold and too wet for many of them.